Hello and welcome to our Nursery School class page. 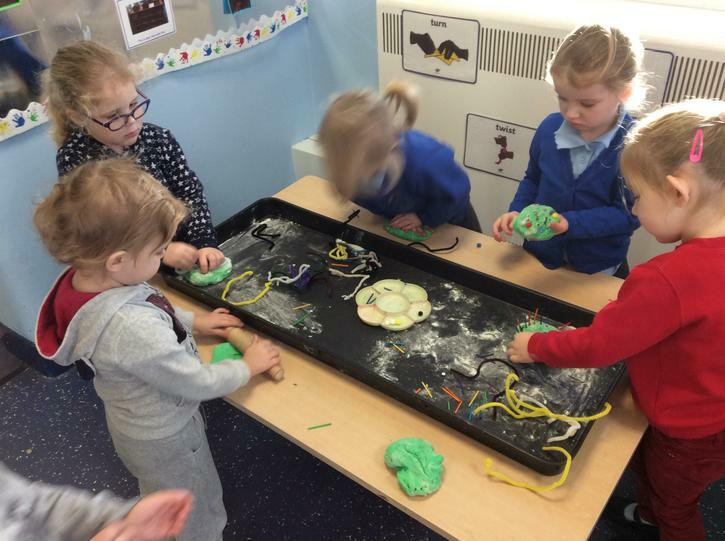 I am Mrs Middleton, I am the Nursery School Teacher working alongside Miss Ali, Miss Battersby, Miss Pryce, Miss Holden, Miss Gavin and Mr Giles. This half term we will be reading lots of stories all about flying and space. We will enjoy junk modelling different modes of transport, discussing the stories and exploring the different transport. We will enjoy learning about space, aeroplanes and animals that fly in our topic 'Up, Up, Up and Away'. We are looking forward to our Valentines Day Stay and Play, hope you can make it. Our Home Challenge Area is beginning to look fantastic- if you have any junk modelling projects that you have completed we would love to see them! Don't forget to bring in your child's successes at home to add to our tree.